We’ve written about the importance of a) getting reviews , b) how the law sees a business that fakes reviews, not to mention c) management of negative reviews, but what is rarely discussed is an OPPORTUNITY that lies in the d) response to a review. An important element of ‘reputation management’ is, in fact, a response to a review(good or bad). A business must understand that it is speaking less to the reviewer than to the entire public of prospective buyers. And because review content can influence consumers when they search, it only makes sense the Google algorithm also uses that content as a ranking signal. How we respond matters to more than just the reviewer, good or bad, so let’s review ‘best practices’ and maximize those benefits to an overall digital marketing strategy. – By using a reviewer’s name the business owner not only grabs that reviewers’ attention, but it acknowledges her personal thoughts. It simultaneously demonstrates accessibility to the public, likely appreciated by both! – By acknowledging details of the review in a response, the business demonstrates a genuine interest in what that person thinks. By taking the time a business also shows a reviewer, as well as the public, commitment to customer service. – By offering advice based upon details of the review in a response, the reviewer and the public may become aware of other options. It’s possible that advice will generate more and future interactions, if not transactions. 4. Use Target Keywords In A Response! – According to Moz’s 2017 survey of local search ranking factors, reviews are a signal that influences how businesses rank locally. Being we all know Google uses reviews as one of their (200) signals for ranking companies and their content, it’s good logic they are reviewing the keywords in that content as well. While we cannot control what our reviewer says, we can use our ability to respond to add keywords! Note: a rule we should all live by with SEO is the content needs to be good enough for humans to be good enough for search engines. So when writing a review response, be careful to only use those keywords specifically related to the review exchange. Do not ‘keyword stuff’ and be sure that you yourself would trust that response before adding it. If so we can all incrementally improve our performance for those target keywords in search engine results! Any questions about reviews or reputation management, please do not hesitate to get in touch. And ask us about Local SEO best practices – increased visibility, traffic and lead capture performance! Geo- Targeted Content And Local Authority! While we often say content is the basis of any competitive web presence, we say it because the goal must always be visiblity as a product and/ or a service authority. For many business owners that authority is local to an area, so using geography in content matters. In fact, geo- targeted content and local authority can be one and the same! Consumers often think about and then search for answers on what they wish to do; what they wish to know; what they wish to buy and/ or where they wish to go. And both consumers and search engines are concerned with the geography for all of those pursuits. For the business owner who diligently creates these locally specific content pathways the reward can be search indexing, website traffic, social sharing, reviews, phone calls, form fills and new sales! Defining one’s authority for service in a town or in a county, maybe like “Blacktop Paving Bergen County NJ”, can be a method for appealing to a searching homeowner who happens to live in that county. These pages may represent the major towns or counties the business targets and, while they need NOT offer a street address or a physical location, they can certainly define experience in/for a given town. There are also going to be best types of content for a business serving consumers in a particular geography. For instance, a home builder has a better reason for photographic content than maybe a home inspection services company, but the latter shouldn’t rule out the use of imagery. To detail potentially harmful and safe forms of mold common to a local area using imagery matters. In fact, it could be the difference in converting a searching local property owner. Point being, using sound methods for optimization – apply geo-topical authority in content whenever possible! The chance of competing for visibility in search engine results pages begins with content. And Geo- Targeted content is an important competitive strategy for business owners concerned with a target radius of potential business! Get thinking about what you are authoritative for, where and if SEO Services can help your business. Contact Kinetic Knowledge for a consultation today! https://www.kineticknowledge.com/wp-content/uploads/2015/08/kinetic-knowledge-logo2.png 304 300 SrA504abMn https://www.kineticknowledge.com/wp-content/uploads/2018/08/KKLogoDarker-1.png SrA504abMn2018-09-19 21:11:142018-09-25 12:30:34Geo- Targeted Content And Local Authority! SEO: You Cannot Grow What You Do Not Measure! Not all search engine optimization (SEO) is the same! What’s necessary for success depends on a presentation of value, visibility (i.e. it can be found) and the level of competition! Rank in search results, can require a large number of content- driven signals or, in some cases, just enough. So why run a giant expensive SEO campaign if it’s not all necessary? A target, for instance, ‘Mechanical Contractor Bergen County NJ’ can be had with a smaller less costly effort than what’s required to compete for ‘Mechanical Contractor USA’ . And while the competition is never ever static, meaning positions in search indexes for target keywords are forever changing, it is only measurement and analysis that will determine whether or not the effort is working. Only measurement will also show what is necessary, for going forward. If you are not analyzing, you are not doing SEO! There’s also a lot of confusion surrounding the cost of SEO; what’s necessary for a particular brand with specific targets and how much it should cost can be all over the map. If a firm is going through the painstaking and costly process of recruiting inbound links from (safe) websites, for instance, it can help a campaign, but “is it necessary?” For instance with a locally targeted business where the active competition (for target keywords) is minimal, maybe back-links and the cost involved is not necessary to succeed? It’s why we recommend a fundamental set of SEO signals to start. To start, set realistic goals and then measure the resulting data! Build fundamental on and off website signals in order to establish a well rounded visible presence and then begin to measure what stems from it. It takes time, sometimes a few months, but sometimes costly link- building and/or social media campaigns are not necessary. The fundamental signals may be all that is needed. It’s also possible analysis will determine that more signals are indeed necessary and for that there is going to be more cost. Either way, it’s better to build up then pile on and waste money in an environment where things that work are changing all the time. What Does A Fundamental SEO Program Include? https://www.kineticknowledge.com/wp-content/uploads/2015/08/kinetic-knowledge-logo2.png 304 300 SrA504abMn https://www.kineticknowledge.com/wp-content/uploads/2018/08/KKLogoDarker-1.png SrA504abMn2018-09-14 01:09:312018-09-17 15:18:23SEO: You Cannot Grow What You Do Not Measure! What Is Local SEO, Why Does It Generate Leads? Local business owners wish to be visible when prospective new clients search for help. A person with a foot injury might search “Seagirt NJ Foot Doctor”, “Podiatrist Monmouth County NJ” or “Top Foot Doc near me” and any Seagirt NJ area Podiatrist would want to be visible. 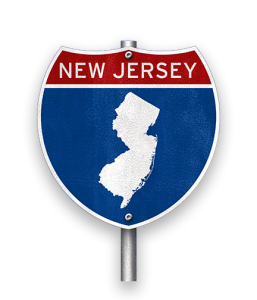 Heck, so would surrounding area podiatrists in Manasquan, Spring Lake, Belmar, Wall and Avon NJ. This podiatrist should think about having the best website content PLUS as many trusted off website signals set so that a search engine can identify then recommend them as paths between the injured party and this good doctor. And while our doctor must have analysis to gauge where she sits month over month, these paths are how ‘prospect conversion into a lead’ happens. Local SEO done right presents our ‘Foot Doctor’ as the visible local subject authority. And geography matters, so please read on! Paths to a business that generate a lead include search engines, but also prominent citations (i.e. search & directory listings), reviews, images, video, social network accounts and GREAT websites! Regardless, an effort to use keywords including geography (i.e. keyword plus town or county) should be a priority. The business that invests in this tedious ongoing effort to build a better overall web presence of trusted paths wins more leads! Different business types do better with different types of content. For instance an interior designer, with its’ inviting images, is going to connect more easily than a mold remediator; however, a mold company should never rule image use out! Not so long as it presents relevant solutions with its’ images, like maybe what the ‘bad mold’ actually looks like. In either case, images must be set up properly for target keywords, so that paths to prospective leads are opened. And it’s time to look at video options, tactics and strategies as well because both people and Google like video! Contact information must also always be prominent on headers, footers and ‘contact us’ pages; so must layperson- proof navigation to all the subject- specific answers a website content offers. Good trustworthy reviews are going to help any business appeal to its prospective leads. While most people trust ‘live reviews’ on Google local listings and sites like Yelp, it’s never wrong to present a sampling on a website. A business should just be sure to link to the live reviews in order to demonstrate they are real and not made up. Obviously a business owner has to deliver a quality product or service to get good reviews, but pursuing those reviews must be a proactive effort based upon a standard operating process! And regardless, there had better be a website full of content that both opens paths as well as satisfies what a discerning lead or prospect might want. Sure a business needs to serve a) those in a rush who will likely just call, but it had better also prioritize b) serving those who do their research. It’s not only the place to answer lots of questions in the most transparent manner, but a means to index tons of target keywords with search engines. An important note here is that a business will NOT see any search engine love unless that website content is determined to be “useful”. Let it be known, crummy content gets a business nowhere! Unless be default (i.e. no one else better), assume the reason a business gets ZERO interest from a near bye town full of prospects is because the town itself is never mentioned in content. Sure it’s tedious, but a local plumbing company based in Bergen County NJ wanting to serve the entire area had better start building locally relevant content = per town. Want more business from Ridgewood NJ than a business had better have a competitive stake in why it offers great Ridgewood support.